The Edmonton EXPO Centre and ticketing platform Showpass announced a new ticketing partnership for trade and consumer events in the venue. 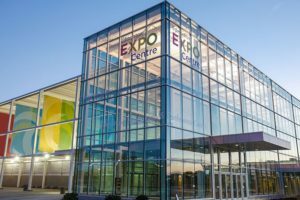 A hub of activity in Edmonton and the Northern Alberta region, the Edmonton EXPO Centre is the largest venue of its kind west of Toronto. Millions of guests visit the Edmonton EXPO Centre annually to take part in hundreds of conferences, catered events, graduations, and more. In addition to hosting attractions, exhibits, concerts, and sporting events, the venue is the destination for large consumer and trade shows. Showpass is a leading independent ticketing platform in Canada. With Showpass, event-goers can find the latest events, buy tickets and get in quickly, right from their phone. Event organizers choose Showpass so they can sell more tickets and merchandise as well as manage everything from sales, check-ins, guest lists, stats and more from the palm of their hand. Showpass serves an ever-expanding variety of organizers including festivals, venues, universities, and trade show clients.